Click the drop down for full list of participating businesses and specials. Sign up to host a Pit Stop or event in Santa Monica during Bike Month! — Links on this page are updated regularly. 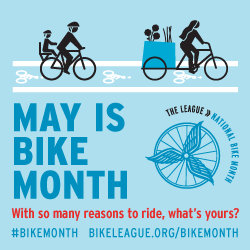 Each year the number and diversity of Bike Month celebrations continues to grow, accelerating the momentum around bicycling nationwide.